The lesson here is not that Pitchfork's editors should get behind "Drill, baby, drill." 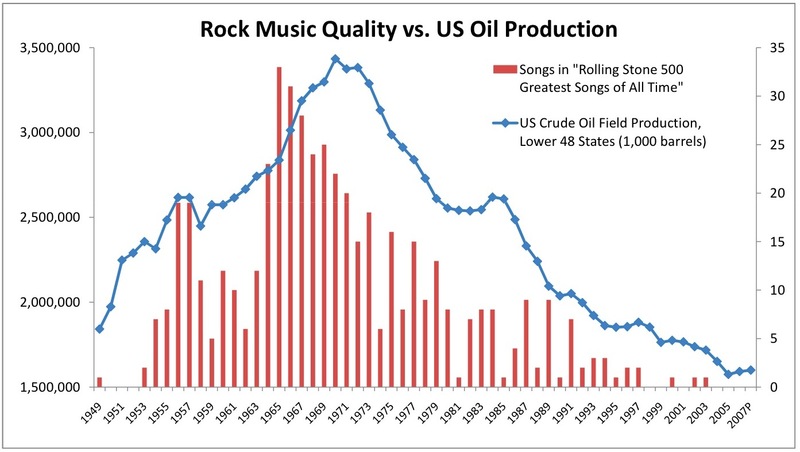 The lesson is that US oil production has fallen steadily for 40 years, and Rolling Stone's editors are absurdly biased toward songs written between 1965 and 1980. "I Got You Babe" by Sonny and Cher is number 444 on that list.